Like the coolest science club ever, delivered to your door! 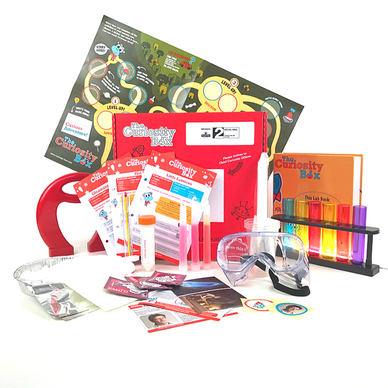 Each Jumbo Box gives you hours of seriously sciency fun! Plus, you get to build your own home lab with our fab collectables each month. The best hands-on way to enjoy science. Want flexibility? You can pay as you go each month for £19.95 and get access to different themed experiments every month. 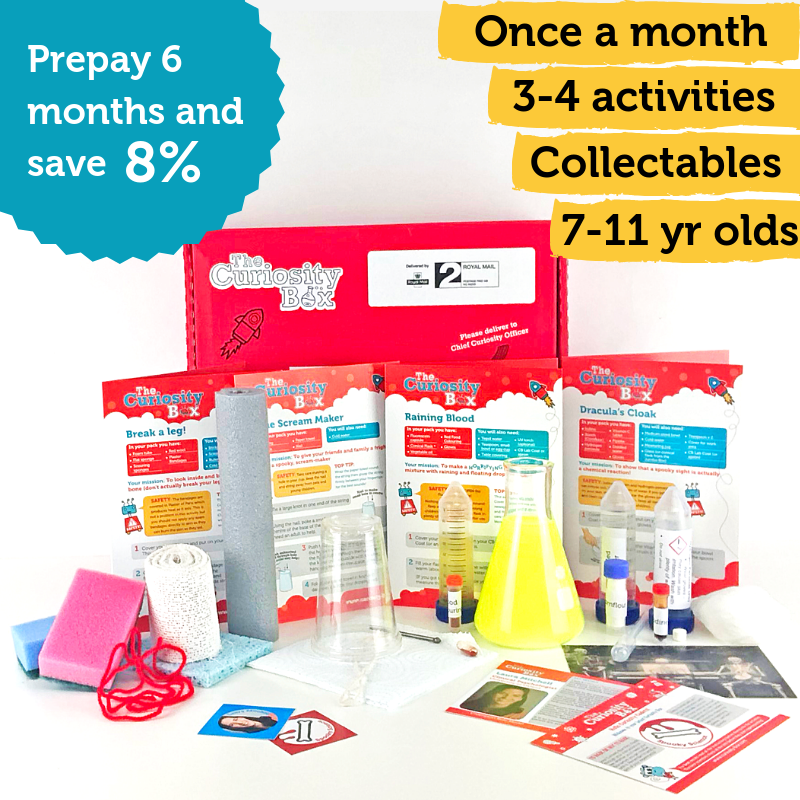 Buy 3 months, get a different science or engineering themed box each month and save 7% (that's £3.90)! Buy 6 months, get a different themed box each month and save £9.75! Covers a range of science and engineering themes. Our best value option, sign up for 12 months and enjoy masses of science and engineering experiments, with collectables every month to build your very own home laboratory! Save £39.45, that's a whopping 16% off! Gooey, slimey and super messy fun experimenting with water! Build it and make it go. From catapults to cars, let's move it!